After our gourmet pizza cooking class in March the Garcia Foodies and I have been really excited about trying to make homemade pizza and this weekend we finally had that chance; but before we could get started we needed a few pizza making essentials, the most important of course was a pizza stone to bake our pizza on and a pizza peel, which is needed for placing and removing the pizza from the stone (in the oven). 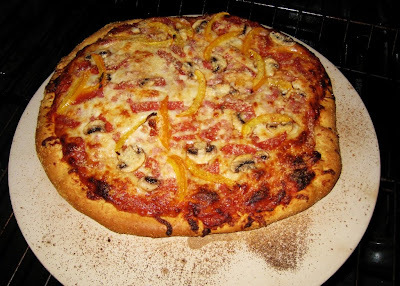 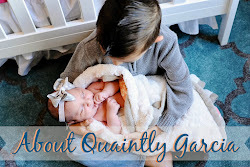 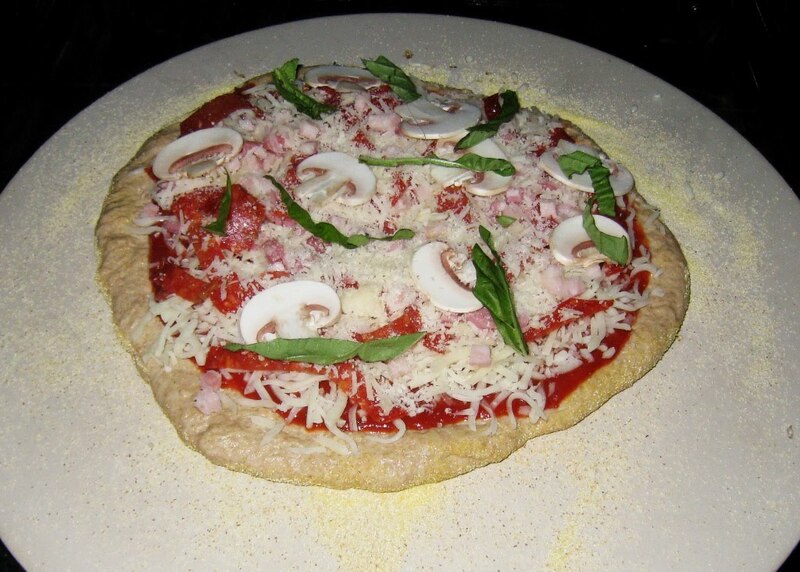 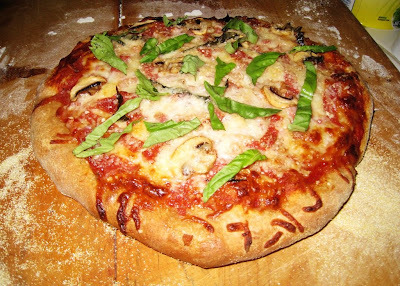 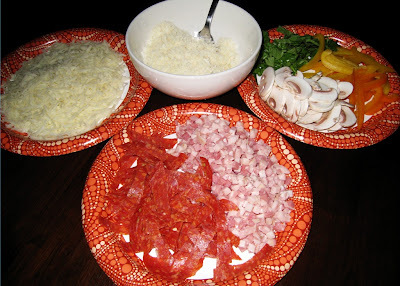 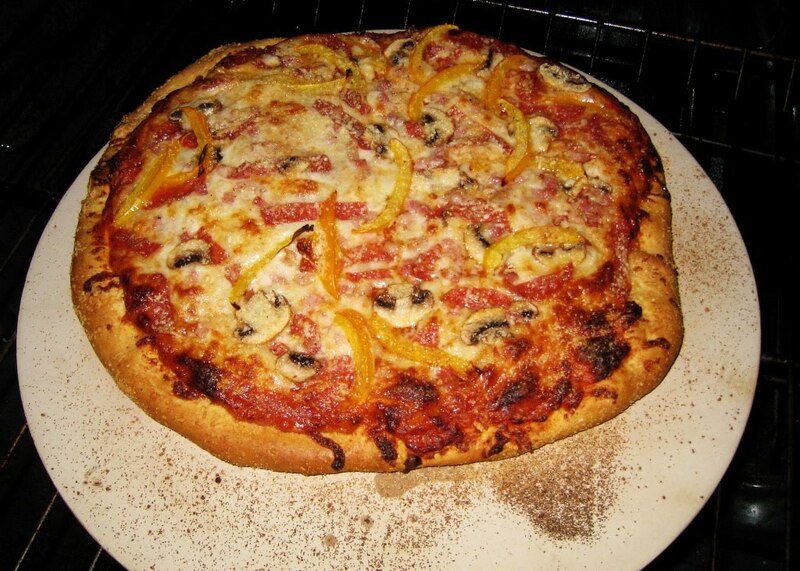 We recently came across a pizza stone set at Giuliano's in Gardena, California and it was just what we needed to have are very own homemade pizza party. 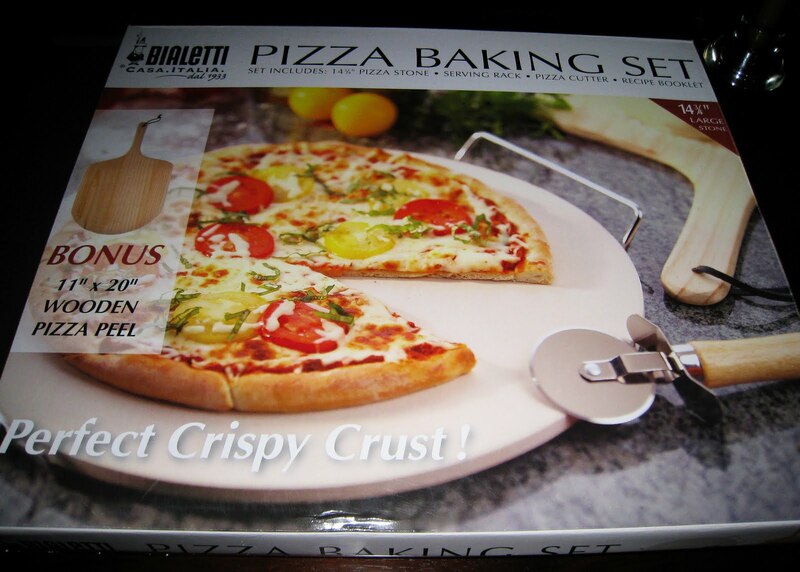 This pizza stone set is very inexpensive and includes the pizza stone, pizza peel, pizza cutter and serving tray!